State Secretary for the Interior and Kingdom Relations Raymond Knops has allocated Saba’s executive council a one-off special-purpose grant of €2 million. The authorities on St Maarten, Saba and St Eustatius are faced with the costs of essential reconstruction following hurricanes Irma and Maria in September. Mr Knops visited Saba for the first time as state secretary on Tuesday 28 November and had constructive talks with Governor Jonathon Johnson, the island commissioners and members of the island council. 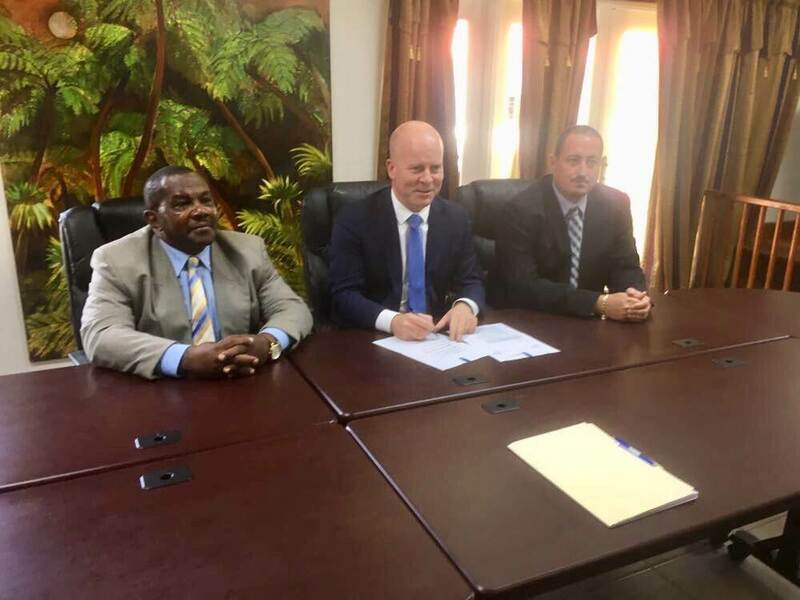 Under the new coalition agreement, the Dutch government will step up investment in the Caribbean Netherlands provided there are sufficient assurances of integrity in public administration and financial accountability. Saba has satisfied these conditions for years. The state secretary pledged additional funding specifically for the development of local government bodies. A $688,000 contribution will enable the further development of the Saba public body’s organisational structure and help improve public service provision. Mr Knops repeated his words from the parliamentary debate on the Kingdom Relations budget: ‘more for more, less for less’. He sees quality and a tailored, solution-oriented approach as key elements of the partnership which the Ministry and Saba are now jointly putting into practice. The one-off special-purpose grant of €2 million is additional to the recovery and reconstruction funding meant specifically to repair the damage caused by hurricanes Irma and Maria. The reconstruction funds include about $25 million for Saba, to be spent in part on reconstruction of the port and waste incineration plant and on repairing and rebuilding homes. The Ministry of the Interior and Kingdom Relations and the Ministry of Infrastructure and Water Management will discuss priorities and the island’s input with the executive council.